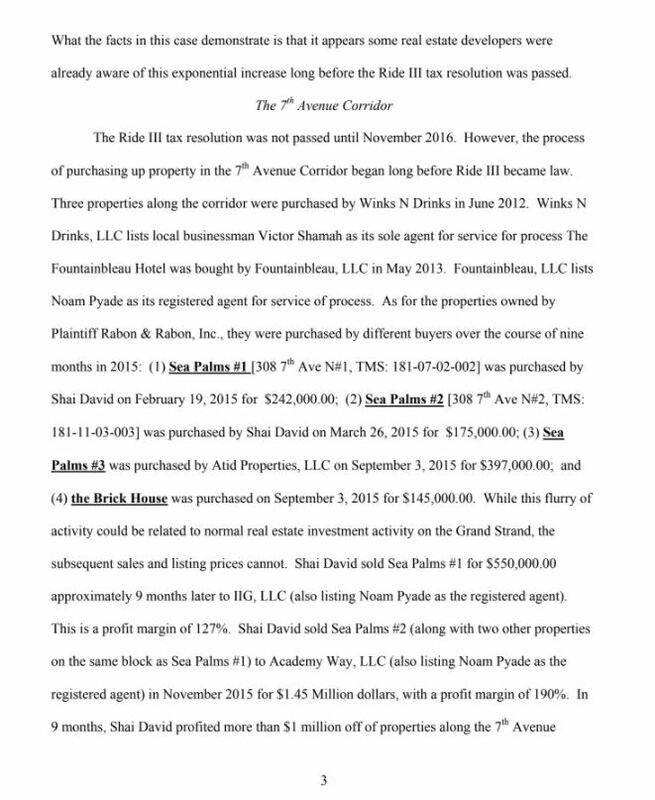 Properties Recently Sold Along 7th. 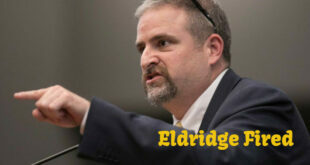 Mr. Pyade added to the DRC Board of Directors last week. 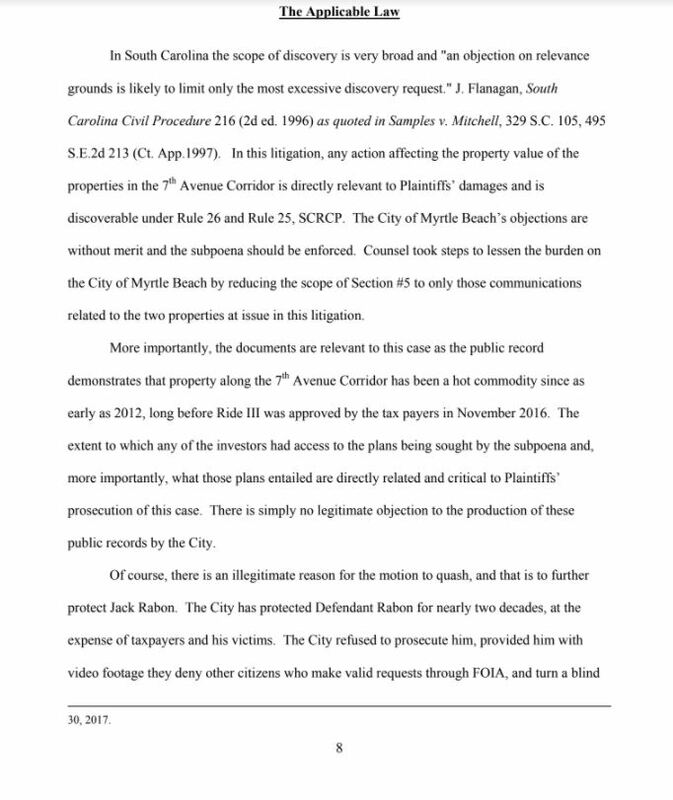 Judge Steven H. John ruled this morning that the city of Myrtle Beach must turn over certain documents to Karon and Kyle Mitchell (and their attorney) as it relates to the 7th avenue corridor concerning Myrtle Beach downtown redevelopment. 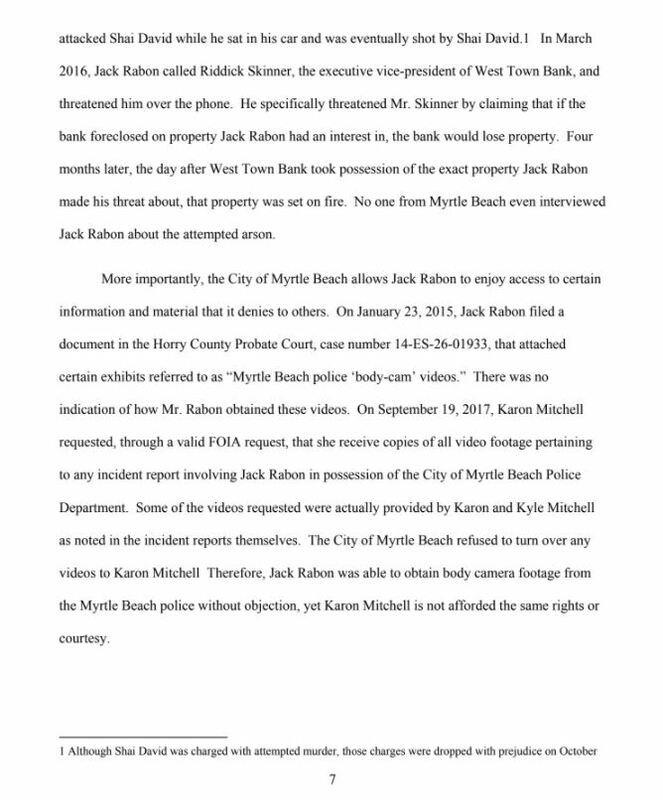 An article published by the Sun News last October explained how money changed hands under the table in a 2015 Myrtle Beach motel sale which Mitchell and her brother owned. 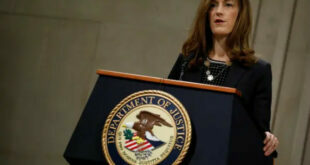 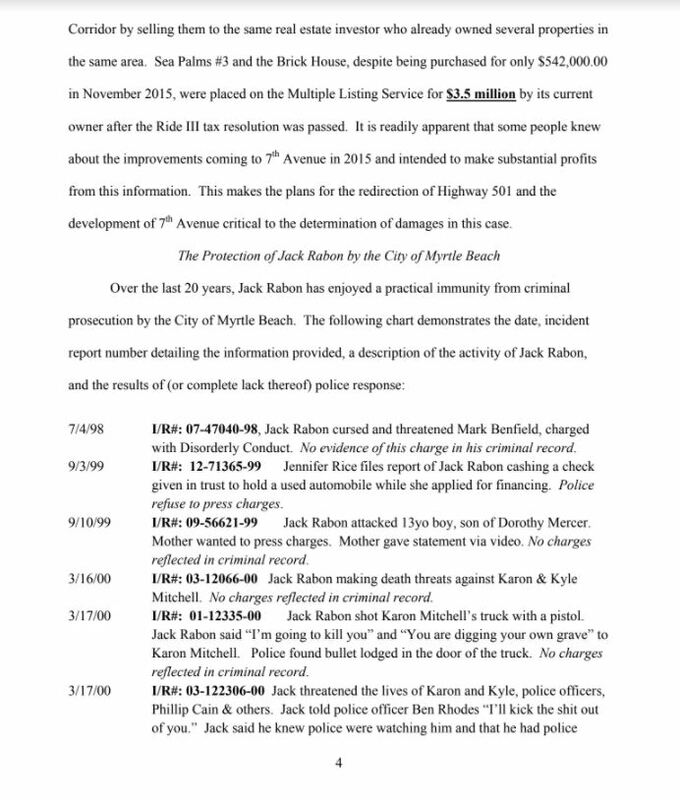 The Sun News reported: Court documents filed in early September allege that Jack Isaiah Rabon, Jr., along with his wife, Nicole Rabon, conspired with their attorney and with the buyers of the land to conceal hundreds of thousands of dollars in the transaction from Karon Mitchell, Jack Rabon’s sister, and Kyle Mitchell, her husband. 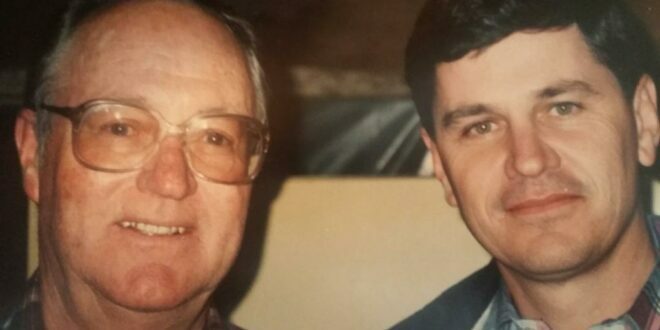 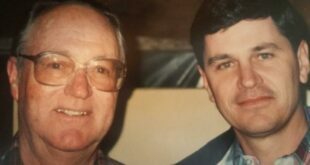 The suit claims that at least some of that money was funneled through a foreign bank account and then given in cash to the Rabons and their attorney, Lane Jeffries, who worked for the McNair Law Firm at that time. 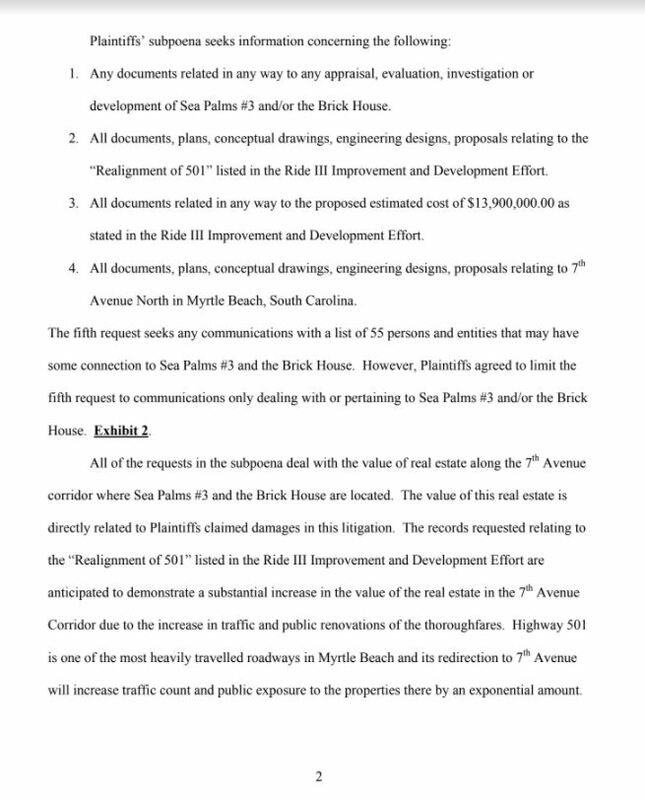 The Mitchell’s attorney later filed a FOIA request to the City of Myrtle Beach (below) asking the city to release records pertaining to any renderings and documents the city has concerning redevelopment downtown and expected changes after Highway 501 is straightened, running down 7th Avenue North in 2020. 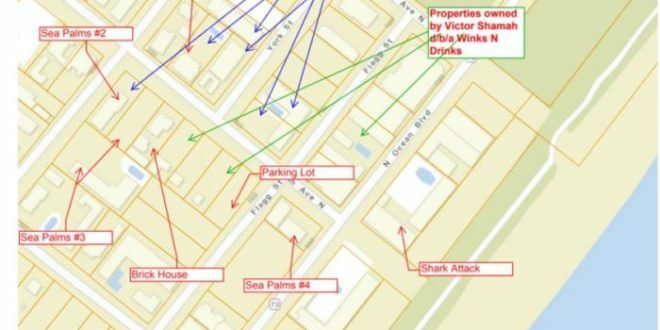 The properties the Mitchells owned were located on 7th Avenue North and along Chester Street which connects with 7th. 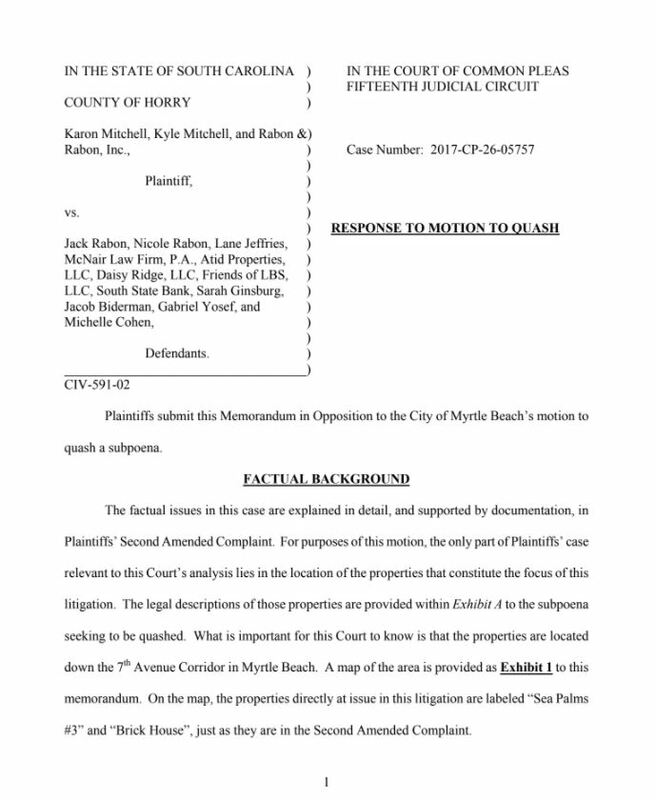 MyrtleBeachSC.com reached out to the attorney representing the City of Myrtle Beach Mike Battle, City Manager John Pederson, and Downtown Redevelopment Corporation Board Member Noam Pyade for comments on this article. 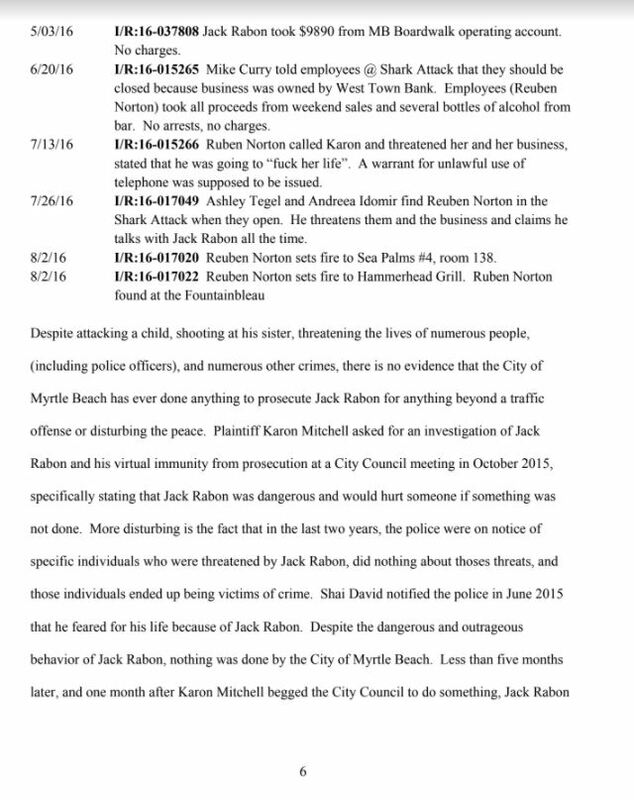 As of our publication, none chose to provide a response.